The survey of state prison chaplains found that “America’s state penitentiaries are a bustle of religious activity.” More than seven-in-ten (73 percent) chaplains report that efforts by inmates to convert or proselytize fellow prisoners are either very common (31 percent) or somewhat common (43 percent). The proselytizing efforts seem to be working as three-quarters of the chaplains say that a lot (26 percent) or some (51 percent) religious switching takes place in their prisons. The most switching takes place between Muslims and Protestants, according to the report. A sizable minority of the chaplains also reported religious extremism as being very common (12 percent) or somewhat common (29 percent) among inmates. Religious extremism was reported by the chaplains to be especially prominent among Muslims (including the Nation of Islam and the Moorish Science Temple of America), but also among followers of pagan and earth-based religions. But an overwhelming majority of the chaplains said that religious extremism seldom poses a threat to the prisons in which they work. Although only based on the impressions of chaplains, the respondents were asked to rate which religious groups were shrinking or growing in their prisons. One-in-five chaplains answering the question said that the number of practicing Catholics behind bars is shrinking due to switching to other faiths. Seventeen percent of the chaplains said the number of inmates with no religious preference is shrinking, while 12 percent said the ranks of the unaffiliated are growing. 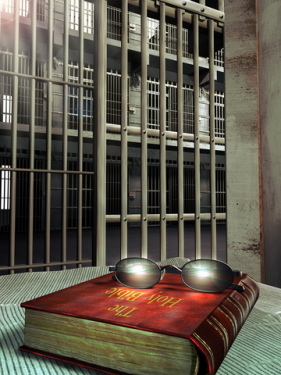 It is even more difficult for chaplains to gauge the size of religious groups in prisons. But, on average, the chaplains surveyed said that Christians as a whole make up about two-thirds of the prison population, with Protestants viewed, on average, as making up 51 percent of prisoners. The chaplains, on average, estimated that Muslims make up nine percent of the inmates of the prisons.